Is Failure The Fuel For Start-Up Success? 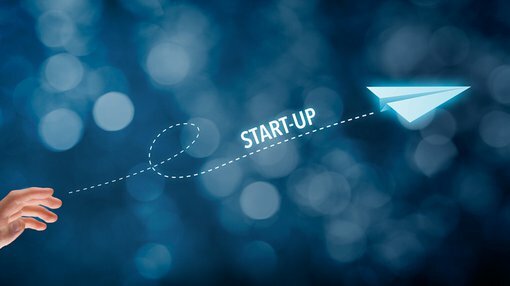 According to Australian Bureau of Statistics, over 60% of start-ups experience failure or cease to operate in the first 3 years of trading, more than half folding within the first year. The common attributed causes, listed by the Australian Securities and Investments Commission (ASIC), include poor business ideas, inadequate cash flow and flawed management skills. All three boil down to the entrepreneur and their ability to master self and make it happen. The exploration of self-mastery for me commenced well over a decade ago, continues today and has major influence over how I operate all areas of my life, including my business. Initially, I was faced with overcoming the cocktail of perfectionism and fear of failure that was underpinning my high pressure, fast paced, career driven lifestyle. This cocktail is part of what I call the ego trap, where one over-cares or under-cares about self or others. A trap filled with anxiety, worry, anger, sleepless nights, arrogance, poor decisions and a distinct lack of happiness. This ego trap is the downfall of countless businesses. Prior to launching The Resilience Institute in Australia in 2003, I was a respected leader in the corporate sector, working at some of the top service organisations globally. Was I good at what I did? Sure. People told me that all the time. There was no shortage of ego-stroking as I enjoyed a meteoric rise. During that time however, I nurtured an undercurrent of obsessions, self-doubts, entitlements and self-neglect. And of course that cocktail of perfectionism and fear of failure. The result was an imbalanced life with too much distress, worry and illness whenever I took holidays. In January 2002, my wife and I were raising a young family of three children, all under five, when a shocking diagnosis knocked us for six. I had been experiencing increasingly bad headaches, some bringing me to my knees in pain. A grade 3 brain tumour was identified as the cause, and a 2.5 year prognosis set me on a new path. On the back of this dire prognosis, I set about embracing all possible options for recovery. Following surgery and radiotherapy, I also took time to reflect on how I was approaching life and sought to change many things. Exercise, nutrition, sleep. Obvious. Beyond this I started to meditate and work on my emotional skills and challenge the thinking patterns that were problematic. It was during this time of reflection that my spiritual path, my way forward to make change in this world, became clear. I was to partner with the founder of The Resilience Institute in New Zealand and bring it to life in Australia. For start-ups to succeed, they must embrace their passions. The period of start-up for this Australian entity was a precarious proposition. Our product offering was at the cutting edge. At that time no one had even heard of resilience, let alone wanted to spend money on it. We had no clients, no cash-flow and my questionable health. I knew we had a something of immense value that would have huge positive impact on not only the organisation but the team and the individual. The corporate world was in dire need of this positive change. This was the motivation that pushed me to uncover the interested clients. From a start-up of 2 pioneers we are now a medium-sized business with a presence in Australia, NZ, UK, Europe, US, China and South-East Asia. We walk into large organisations and have the privilege of working with leaders and staff to enable greater health, resilience and sustainable high performance. Looking back on that initial period of the business, I remember being determined not to start my new life founding a start-up in the same mindset I had in my corporate life, with the aforementioned fear of failure and perfectionism threatening to limit and destroy my business and health. It is that determination, and the change of mindset itself, that still gives fuel to our continued growth and success today. The human factor underpinning start-up and business success is assertive humility – courageous, values-based thoughts and behaviours for the greater good enabled by building one’s resilience. For those of you who are thinking of going out on your own with a game changing idea or currently striving for start-up success, I recommend that you explore these questions across key areas, which will guide you to turn your challenges and failures into fuel for success. Do I build trusting relationships through consistent values-based decisions, behaviour and integrity OR is my track record erratic? Do I interact with others based on mutually understood boundaries and standards based on values OR do I interact with sympathy, indifference, contempt or antipathy? Do I build self-worth and equanimity from healthy internal conversations and experiential evidence OR do I over-care about the (perceived and actual) opinions of others about self? Am I others-centered (balanced with my values) OR self-centred (narcissistic)? What portion of accountability do I accept when things go wrong? What portion of success do I claim as my doing? Do I keep challenges, status, future ambiguity and change in perspective OR do I experience fear, anger and contempt? Am I able to laugh at myself and learn when things go wrong or shown up as imperfect OR do I experience frustration, embarrassment, sadness, fear or shame? Do I seek to resolve conflict with the greater good in mind while understanding the other parties position, tackling the issue and not the person OR do I avoid conflict, compromise my position, or resolve in an aggressive way? Thought #1. Discover your “why”. 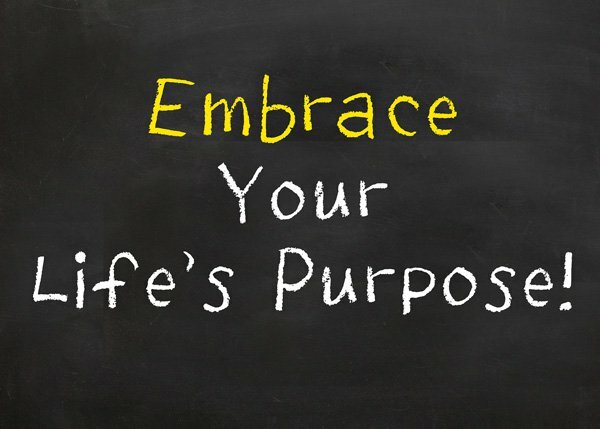 Knowing your purpose is essential for any kind of fulfilling success. Thought #2. Life is not fair. I am convinced there would be less anger in the world if we can make peace with this idea. Thought #3. You can’t be serious! I am certain one must find a humorous view for most things that happen in life. Thought #4. Take risks. Believe me, life is short! The comfort zone is called that for a reason. Don’t spend too much time here or life will pass you by. Thought #5. It’s not all about you. Narcissism is slowly but surely destroying humanity and our planet. Try to live with compassion and altruism. Thought #6. Find and give love. Invest in nurturing relationship that are important to you. Life is more special when it is shared. Thought #7. Stress is an illusion. When you feel distress about a situation, recognise your mind is playing tricks by fabricating an illusion about a possible disaster in the future. Spend time in the now, rather than the future. Thought #8. Seek equanimity. The breadth and depth of this state is worth exploring. Thought #9. Exercise daily. We all know how important this is – make it happen. Thought #10. Meditate daily. Ideally 15-30 minutes, however even 5 minutes a day will have a positive impact on your life. It is with enormous gratitude, humility and pleasure that I now stand 14 years down the track from that shocking diagnosis. A new person with a fulfilling vocation. Living and working with wonderful people who are equally passionate about making a contribution. The question I ask you is: will you wait for your life to start failing you before you fuel your own success or will you take action today to live a life of high performance, high personal reward and continual renewal? Stuart Taylor is an experienced management consultant who has spoken to over 20,000 people globally on human behaviour, motivation, stress mastery, organisational and personal performance in workshops and conference presentations. His diversity of tertiary qualifications in psychology, finance, IT and engineering bring a breadth of credibility to his work with government, professional services, the banking and finance sector, telecommunications and in the manufacturing sector.